I'm seriously thinking of hiring a Feng Shui consultant to my place. What I'm afraid of is they will ask me to place items that are too oriental. I belong to a protestant Christian family and do not wish other fellowship to notice when they pay a visit to me. You don't have to worry about that. People have great misunderstanding that after an audit, your house will be fill with Oriental decorating style. We'd mentioned numerous of time that Feng Shui is about balancing the energy flow in our environment and how we can improve the flow of beneficial energy. It is not about how to decorate your place with items. Its true that in olden days, you'll be asked to place oriental items and decorations for the reason that practicing of feng shui is originated from Chinese. Its quite normal for chinese to blend in with culture belief together with FS theory. But today, these culture change as the world become advance. Will you still use an olden days Chinese abacus (calculator) if modern calculator is besides you? The only thing remain unchanged is the energy flow around our enviroment. In today's world of Feng Shui techniques of harnessing beneficial energy flow; it is put into practice to blend harmoniously with the look and style of modern living that makes it unseen to others. These style can be blend into all kinds of design including pop art and modern zen. You'll be surprise that most of the house and office with FS formation are done in way that no one will ever make notice of. In another words, when someone enters your home or office and realize that you'd probably apply FS theory within the property, you'd failed the job. Can you explain Feng Shui a belief or natural science of environmental? 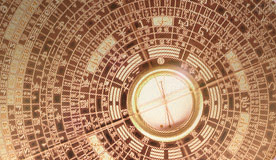 First of all, Feng Shui metaphysics are not based on superstition and religion belief. It is a mathematical science for balancing the environment and energy flow around us. Existence of science begins with human curiosity and exploration to the world. Through time and space, these explorations become great knowledge in the form of scientific equations that turns out to become great invention. For instance, the invention of solar calculators, hiking compasses, and rocket that goes into outer space. Feng shui itself share the same theory with a proven track record of over 3000 years and that is why its still in use today. Why some people still regard feng shui as a culture belief because in ancient world of Chinese society, these secrets are kept very close to masters and only pass down to disciple who're closely related to them. Until today, these cycle keep repeating. Unlike westerners, they share their discovery to the world. For that reason, superstitious though derives. But in actual fact, feng shui is true mathematical science for balancing energy flow in our world of Chinese metaphysics. How environment influences us can be explained. 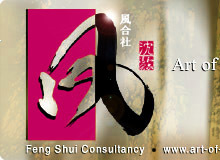 Nearly every Feng Shui Consultants have different theory of their own. How to choose a trustworthy one? Trust your own instinct. If you're unsure, ask question. If something sounds too good to be true, be careful. Avoid those who beat around the bush asking for more money on unnecessary items. Classical FS is about energy flow, locations and directions. You can easily tell whether their services are base on superstitious theory or true logical terms. Does leaving the toilet seat up flush away your wealth? Wealth in Feng Shui had nothing to do with toilet seat and it does not flush away your money. In Japan, my is very room small side by partitions. Fen Shui will come to be bad? Hi Ryoko, it does no matter. Even with limited space, you can still enjoy good beneficial energy as long as there are proper spaces for allocating correct assignment together with good external features. I was born on July 6th 1968. Following the 8 mansions kua from books and Internet resources, I've shifted my door and stove facing to my Sheng Qi direction hoping that it could bring me wealth but things never improve and got worst. Anything I missed out? Dear Larry, there are few possibilities for this. Besides annual afflictions, time factor is one of the major and most concerned issues. We're afraid you'd miss this important step. Secondly, do bear in mind that relocating of doorway for new directions are not for beginners. It may look simple but you need other form of calculations to get everything right besides Ba zhai method. Thirdly, from your given birth data, you belong to Kun kua which is 2 earth. You shouldn't locate your stove facing towards your Sheng Qi direction in the first place even though it may consider the best direction. What you did had accidentally trigged the unpleasant within this Kua. Hope you'll get everything right in time with necessary changes. According to bazi reading, my lucky element is fire. Please help me with direct advice what color to paint my room or is I am supposed to wear anything in red. this has been one of the commonly asked questions. Customers who came to us are often surprise that we actually do not give any recommendation on specific colours they should use. 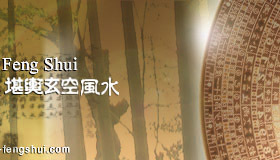 Classical Feng Shui is about how environmental energy flow influence us. Its not about what you should wear or how you should decorate your room with colours. Recently, a visitor writes to us that he has lost his job after painting his bedroom with blue. He is afraid that blue that represent water is his unfavorable colours. We told him that the incident took place not because of the colours but something else. Later we found out that he had accidentally done a small installation work at a bad location for this year. After advising him what he should do, the problem is being resolved. Here you can see that filling up your room with colours related to your favorable or unfavorable element will never at all influence your luck. Most important is the Qi (Energy flow). If colours are one of an important factor, we must as well paint our wealth corner in blue that represent water rather than placing a real water flow features. That is why a practitioner with true Classical Feng Shui background will hardly ever advise how you should fill your room with specific colours or what you should wear.